In July and August the reception will be open every day from 9h30 am to 12h30 pm and from 3 pm to 8 pm. You can find all the necessary information close to the people at the reception and thanks to the brochures at your disposal. Coming from the D 104: 2nd house at the right. Coming from Casteljau: 1st house at the left. 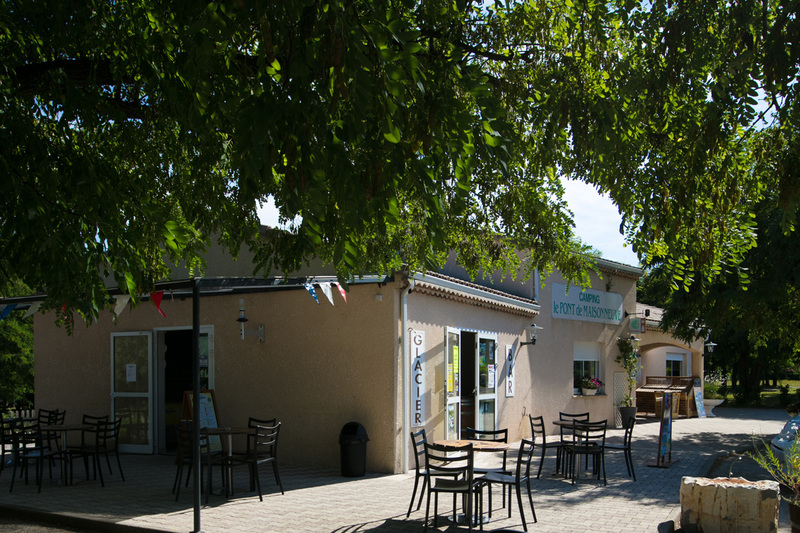 The grocery shop of the campsite will be open every day in July and August from 7h30 am to 12h30 pm and from 3 pm to 8 pm. Every morning, you can buy bread (flûte and baguette) and pastries (croissants or pains au chocolat) at the grocery shop. 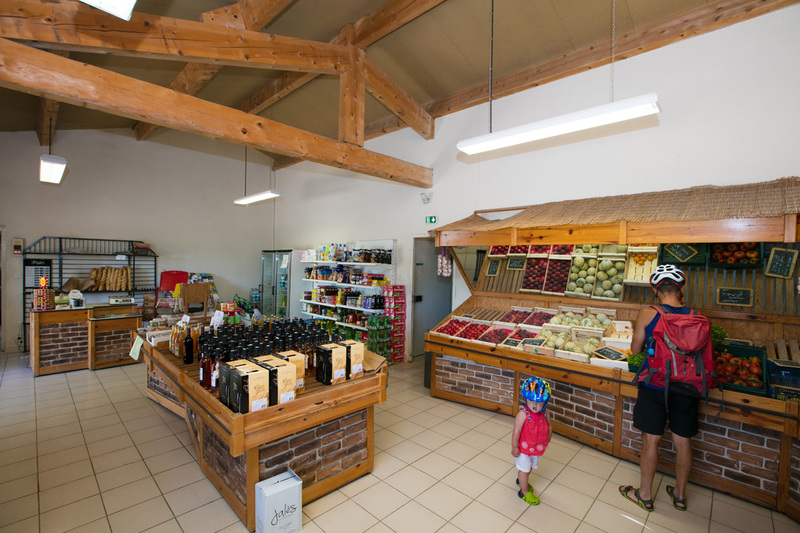 You can also buy there fruit and vegetables stemming of the family farm, aswell as a large selection of wine from the cooperative of “La croisée de Jalès” where we are bringing our grapes to. You can also buy hardware. 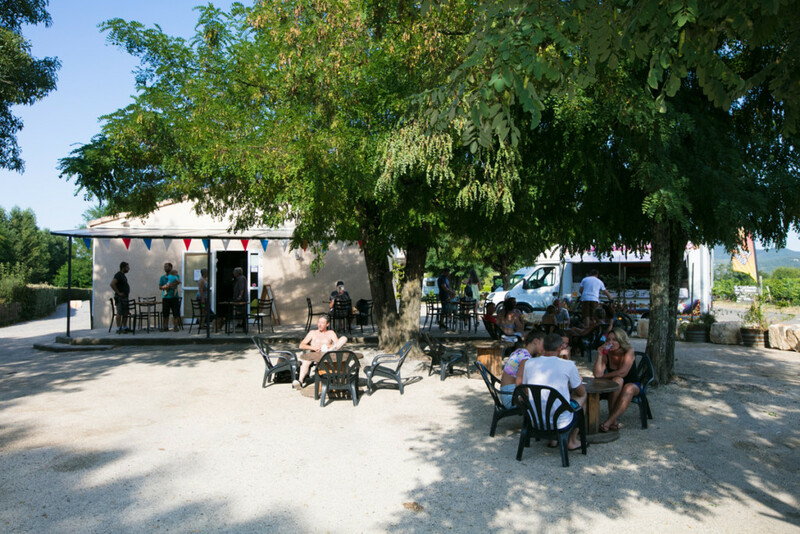 The bar at the campsite is open every day in July and August from 10 am to 12h30 pm and from 3 pm to 12 pm. You can come to quench thirst with drinks without alcohol and licence III drinks (wine, beer…). We also propose ice cream. At the bar of the camping, a television and a football table will offer you relaxing moments with friends and family. The program can change from time to time, our team will be happy to give you more information at your arrival. The charcoal barbecues are prohibited in the campsite. 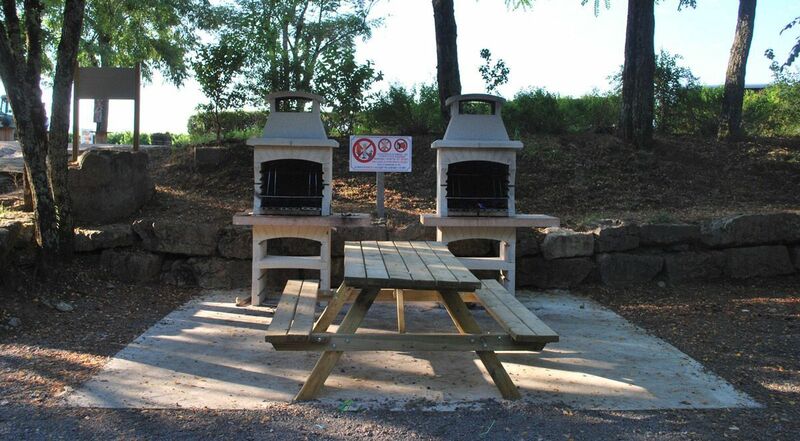 A barbecue area is available next to the petanque court. WiFi is accessible around the building where ou can find the bar and the reception. 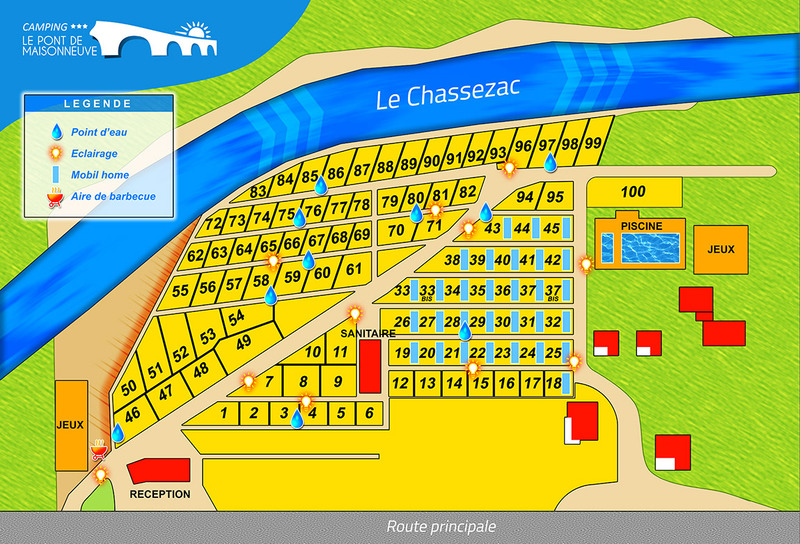 The WiFi is free for the costumers of the campsite (you can ask the accescode at the reception of the campsite). The border dedicated to campers and caravans is in free access for the costumers of the campsite. It will allow to drain away the chemical toilets and to fill the camper drinkwater.